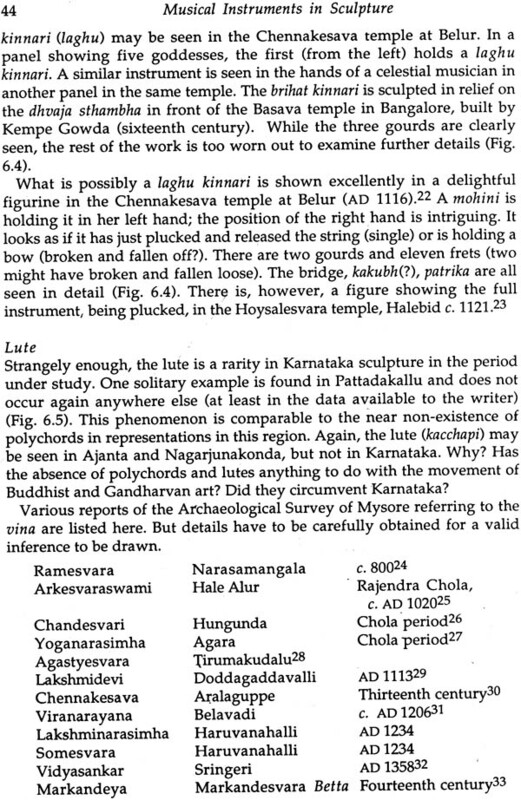 In this pioneering study the author makes a significant contribution to the history of musical instruments in India with special reference to the sculpture of Karnataka. 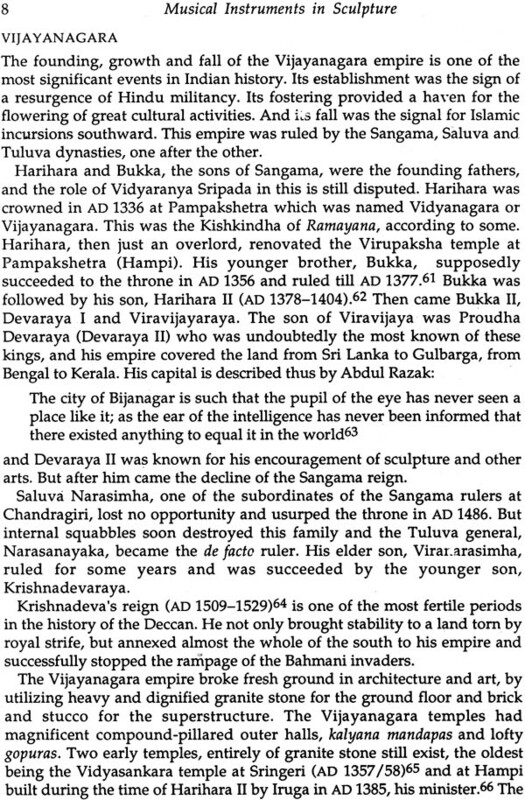 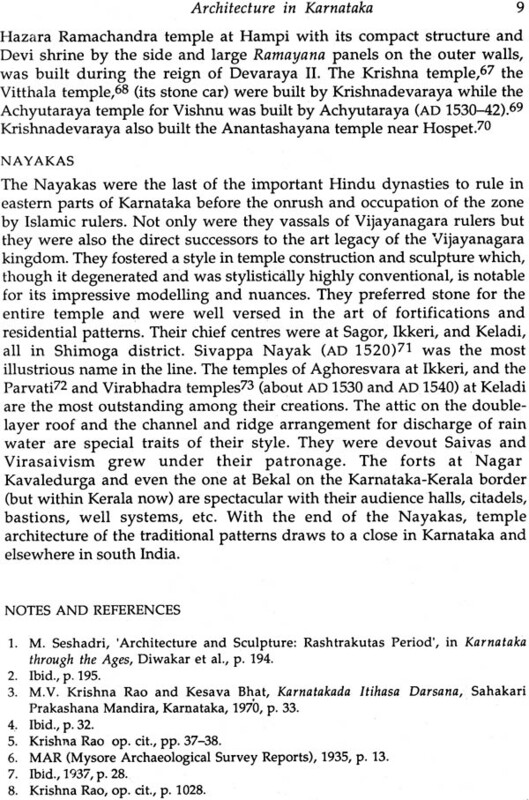 Focusing on the period covering the Kadamba, Chalukya, Hoysala and Vijayanagara empires, and the geographical area constituted by present day Karnataka, the book affords a full description of musical instruments as regards their origins, status, purpose or use, context and professional relations. 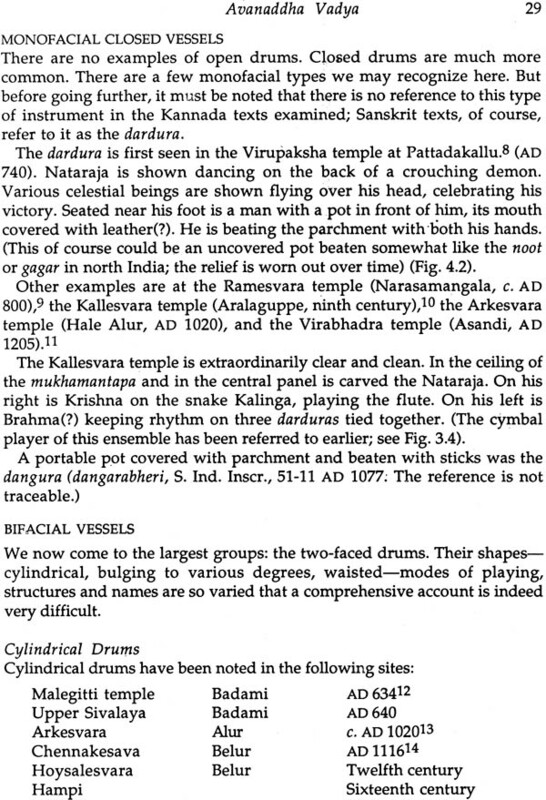 The source such as folk literature, literature pertaining to music, epigraphic records, actual surviving specimens, and so on are also discussed. 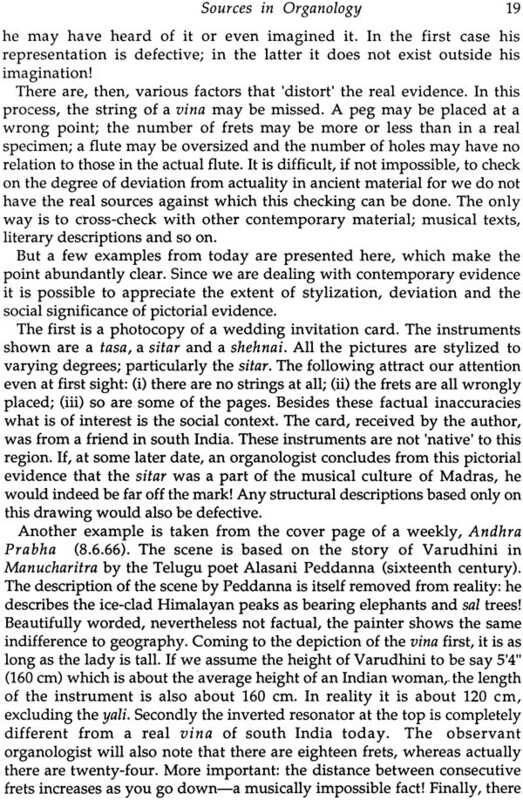 Adequately illustrated and supported by an exhaustive bibliography, the book should be of value to students of Indian musicology, architecture and cultural history. 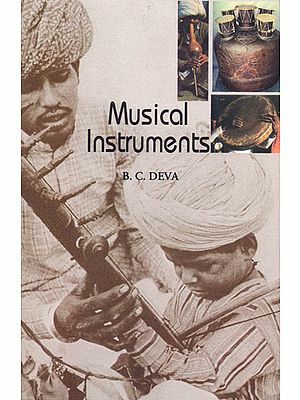 Dr. B. Chaitanya deva was a Hindustani vocalist and an internationally reputed musicologist. 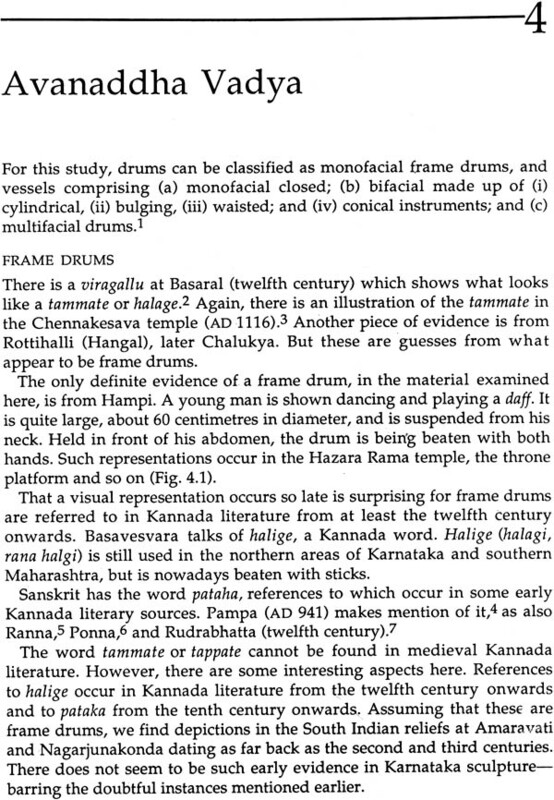 He received his PhD from Poona University for research into the psychoacoustics of speech and a summary of his dissertation was published in Zeitschrift fur Phonetik, Berlin University. 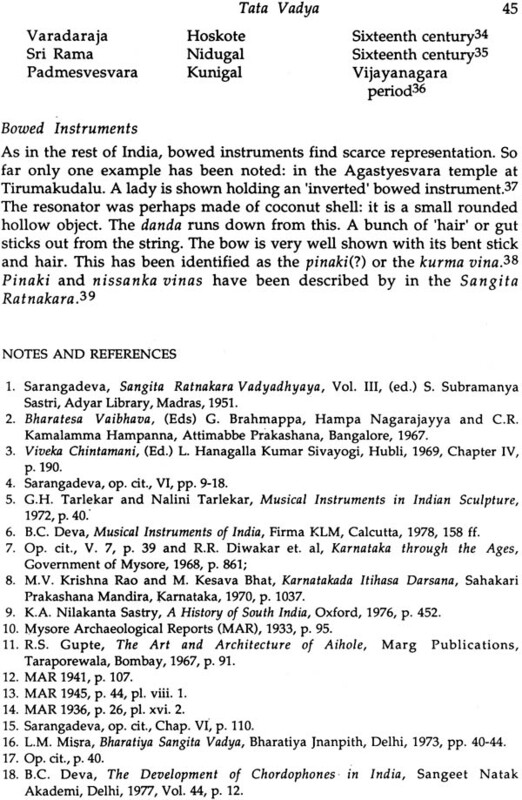 For his Pioneering work on the tonal structureof the tambura, he was awarded the Akhil Bharatiya Gandharva Mahavidyalaya's first doctorate in musicology. 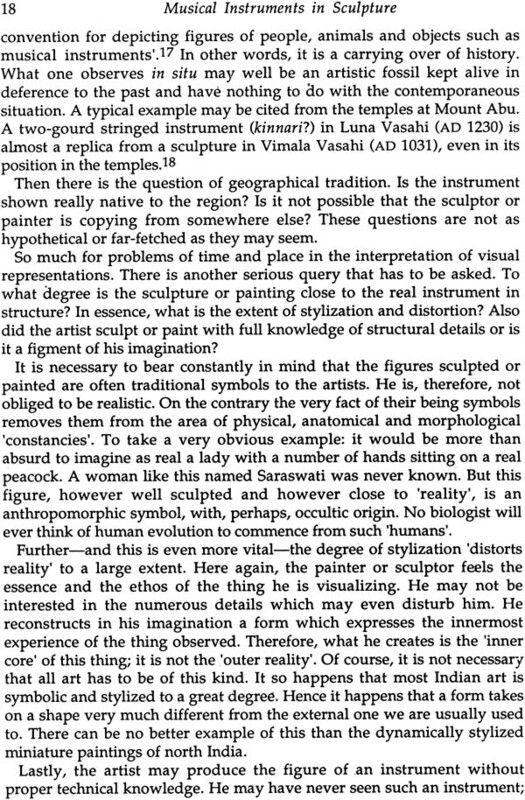 He published several books and articles, including the book Music of India: A Scientific Study.